Although I have spoken of this before, I did vaguely and I want, today, to be a little more “attentive” to this important issue that many people are unaware. You know that the universe is very large, this universe. So great that even we have not even seen our means more than 4% of the (at this time), with which we have much to learn. 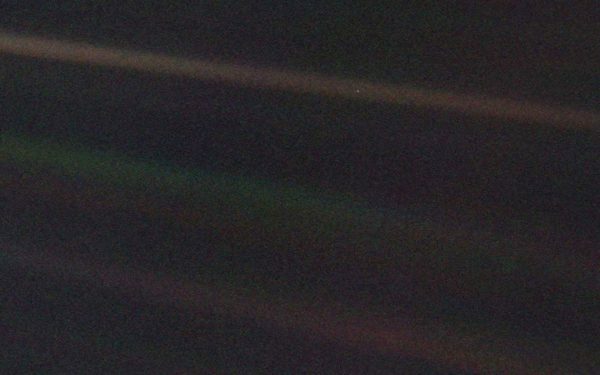 If Carl Sagan attempt to make people realize the magnitude of things with a picture of Voyager I (the little blue dot) with an image of the Earth about 6000 million kilometers so that people conciencira what weak and fragile we really are and because you have to care for the Earth, we now know that we are still much smaller in the universe. The organization of our universe goes from the smallest to the largest, being, as large a copy of what we can find from the smallest (approximately). If we have elementary particles that come together to form atoms combine to form materials that come together to form clusters of materials (everything with their properties), if we increase the scale we have similar situations. If we start from the base of a solar system (one star and a handful of planets orbiting the star or stars-some day speak of the types of systems existing), if we add dimension to the issue, uniting more “bases”, we constellations (groups of solar systems), we galaxies (clusters of constellations), have clusters of galaxies, clusters of galaxies, clusters of galaxies, superclusters of galaxies, galaxies and filaments walls. All from lowest to highest order and accumulation of the above type. So far everything right, things go from the smallest to the largest accumulation of the above, it is understandable and simple. The problem is knowing how to accumulate and why and for that enter mathematical models. 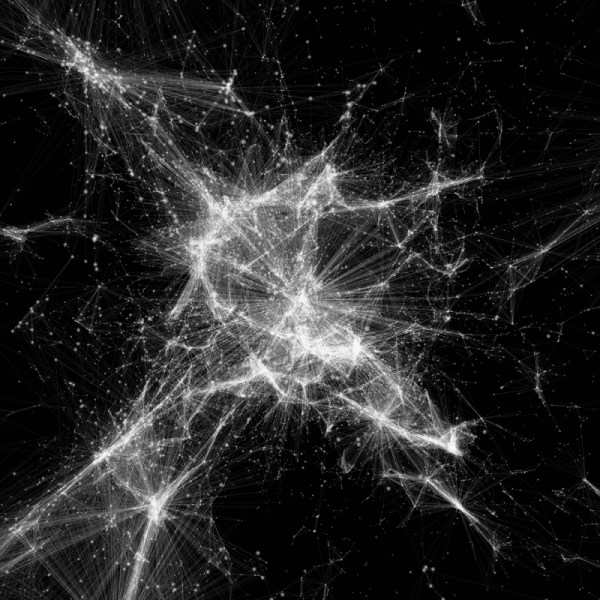 They have tried to create mathematical models of what has been called “cosmic web” or the cosmic web, so called because, in the models, which have seen is that the way you have to have our universe is like a cobweb . Ie how galaxies, clusters of galaxies are united and the way they present is to be united through small filaments giving a similar to a web form, although it seems uncontrolled or random has a strong gravitational component . Mathematical models are a little green as itself (and this is nice) even we know many things. Unknown to the masses, know itself as galaxy clusters interact with each other, and we know it is very difficult to solve until the system 3 gravitating bodies … but what if we are approaches that we think can be quite rough . From where I recommend reading the paper doctorate who will help you understand many things here I tell you, though, on the web, modeling, many of you can serve to get an idea (and knowing that each ” point “is a galaxy … yes, a galaxy, a total of 100 billion stars, remember the” little blue dot “). What we can see that our universe is not it very difficult if not know him, which is very large and we worried about absurdities absurdities. For those interested in my person (in the personal sense, my career, my future) this is a subject on which I want to do my Ph.D.